Sago used to be the staple food for the Melanau, but now being consumed by other races also. One form of sago is in sago linut, or ambuyat as how the Melanau call it. 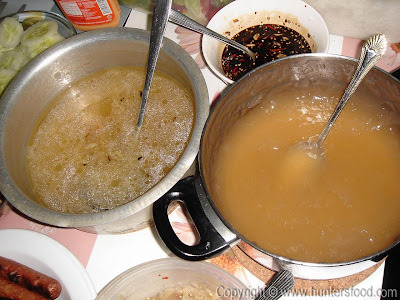 I am not sure exactly how the Melanau eat the sago linut, but how we eat it in the old days is to eat it either with hot soup, or simply add in additional hot water and sambal belacan. 1. 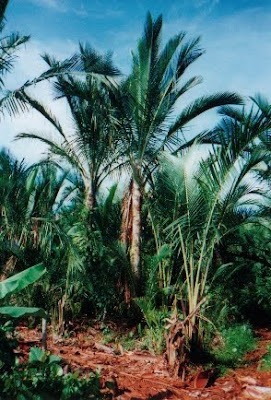 To prepare sago linut, you can either use poured boiling water, or boiling water in a pot. 2. Method 1) Hot Water - 2 person needed. 1 person to pour hot water, 1 person to stir. Add in normal water first to make it watery and doesn't turn into starch too soon. Then add in hot water, and stir continously until all the sago turn clear and gooey. 3. Method 2) Add normal temperature water to sago in a pot (approx. 1 sago-1 1/2 water content). Heat the pot using small-medium heat and stir. Keep stirring until all the sago turn clear and gooey. Add more water if necessary. If too gooey, stir further until desired thickness. 1. Heat cooking oil. Saute garlic, shallot and ginger until fragrant. 3. Add water and lemongrass. 4. When the water boiled, add salt, tempoyak, chicken stock cube and/or MSG to taste. 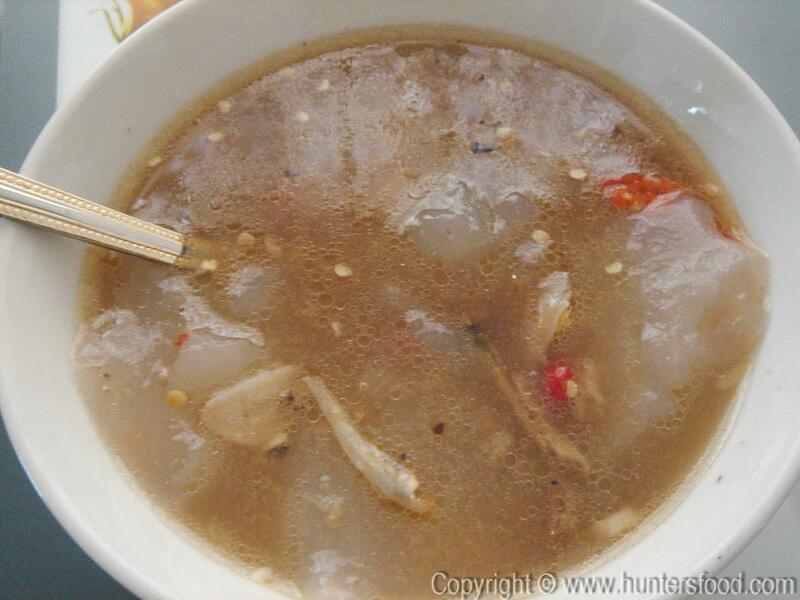 The sago linut is best eaten with a hot soup. Add sambal belachan for added umph!